Based on archival materials gathered in Ukraine, Russia and the United States, this talk will explore the significance of antisemitism in the Russian Revolution. In doing so, it will examine how class politics could sometimes overlap with antisemitism, not just on the right, as is well known, but on the left as well, and in the Red Army in particular. In addition, the lecture will explore the as-yet untold history of how the Bolsheviks responded to the antisemitism that emerged within their own ranks. By bringing into focus the forms of individual and collective agency that actualised the Soviet response to antisemitism, the talk will challenge long-held assumptions about the Bolshevik record in this area. 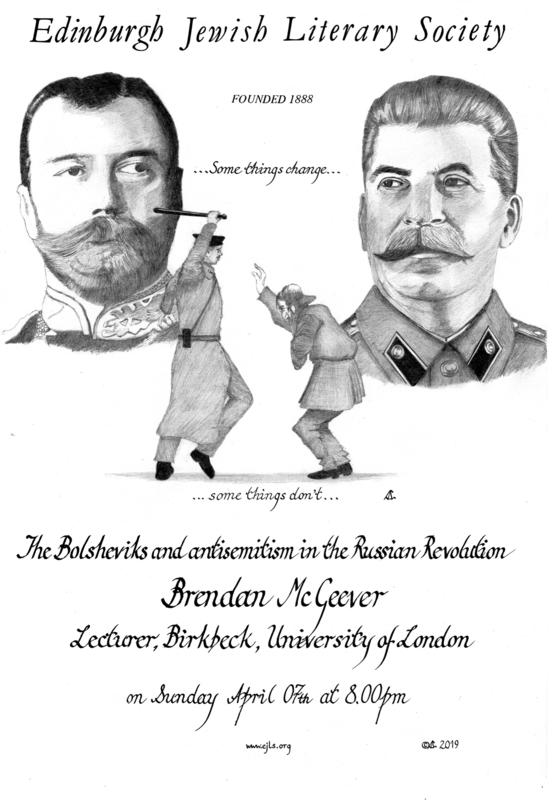 Brendan McGeever is Lecturer in the Sociology of Racialization and Antisemitism at Birkbeck, University of London. He is the author of The Bolsheviks and Antisemitism in the Russian Revolution (Cambridge Univeristy Press, 2019). For the academic year 2017-2018, he was Acting Associate Director of the Pears Institute for the study of Antisemitism at Birkbeck, University of London.